Confession: I didn't wear this outfit today. I didn't even wear it last week...or the week before. I have outfit posts planned through next week already. On one hand, it's nice being ahead of the game, but at the rate that I'm wearing "good" outfits, I'm going to be posting winter weather outfits at the end of March! (Who knows, maybe it'll snow at the end of March; it did last year!) I go through spurts of loving my outfits, so I apologize for the fact that I'm posting outfits I wore weeks ago. I did, in fact, wear them, and I won't ever post something I haven't worn the whole day (or most of the day; let's be real--sweatpants rock). 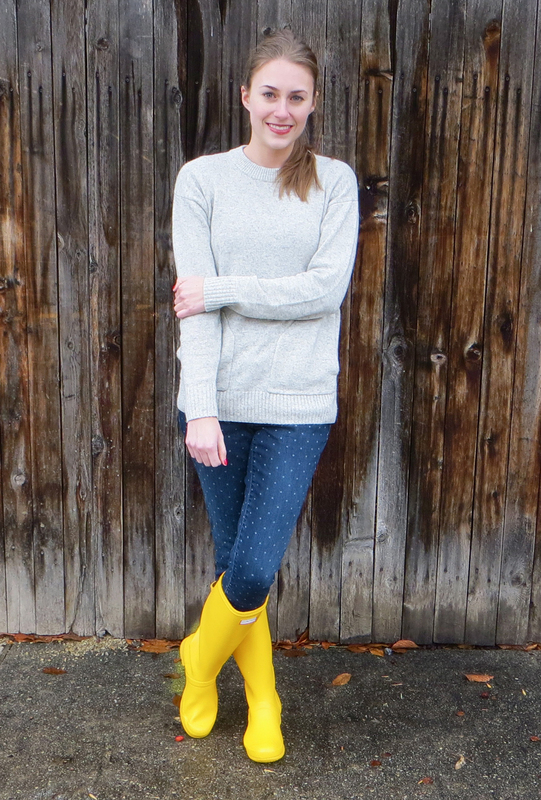 This outfit is perfectly cozy. I wore this on a typical weekend day running errands. This sweater is wonderful, and I could live it in all winter if it was socially acceptable to wear the same thing for four months straight. My boots are a Christmas gift from my parents. 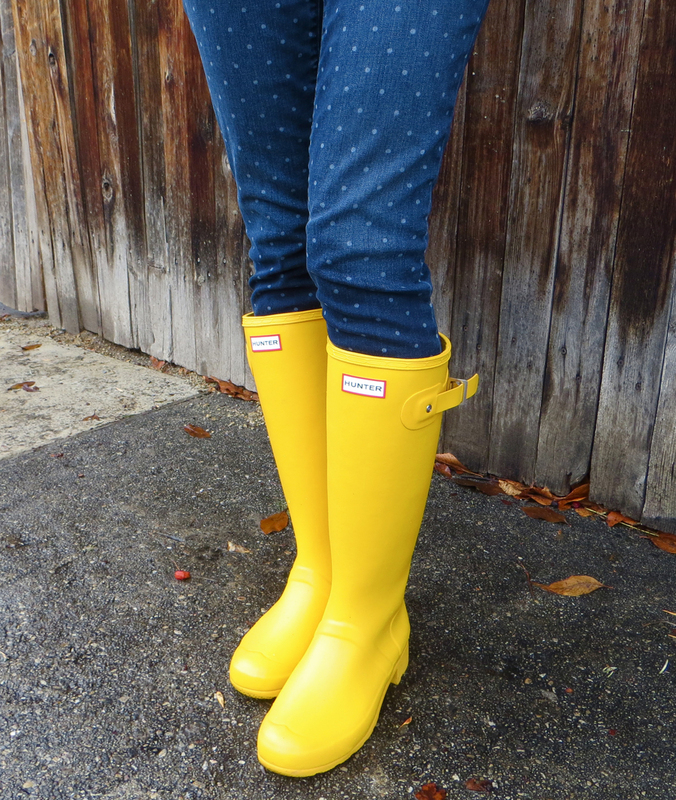 I love yellow rain boots! I must admit, though, now I am wishing for the green boots. It's not weird to have multiple pairs of rain boots, right...? I have been so busy lately in grad school world. I've been writing a journal article that I should be submitting sometime within the next week or so (yikes! ), so that's exciting! I can't wait until it's done and sent. Hopefully my advisor won't rip up my writing too much. I don't feel qualified at all to have a first author paper! As long as I keep practicing and editing, I should eventually get the hang of it. Hopefully.